One way the posters might be used is in project ideas that can build cross-curricular links and citizenship themes. 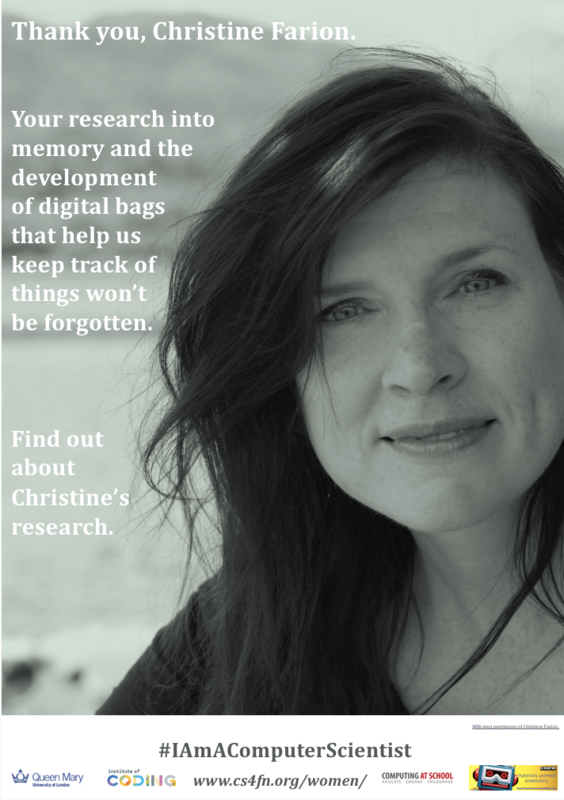 For example Christine Farion researches how a bag or rucksack could be digitised effectively to remind people what’s already packed in there and to highlight what might be missing. As part of her PhD in computer science at Queen Mary University of London, Christine researched the use of technology to reduce anxiety of forgetfulness. She created a bag that as you placed specific things in it, a small light was displayed on the outside of the bag. She now makes and sells the bags. Read more about her research on the cs4fn website (the article is also on page 4 of issue 25 of the CS4FN magazine, on wearable computing) or look Christine’s website. This could link to work on Design & Technology and PSHE&C. Your students could design a product that helps those with memory problems. Eg. A device that reminds you what you wanted to remember to collect from upstairs or they could write about the use of technology to support people’s lives.